Create a Beautiful and Functional Outdoor Space. 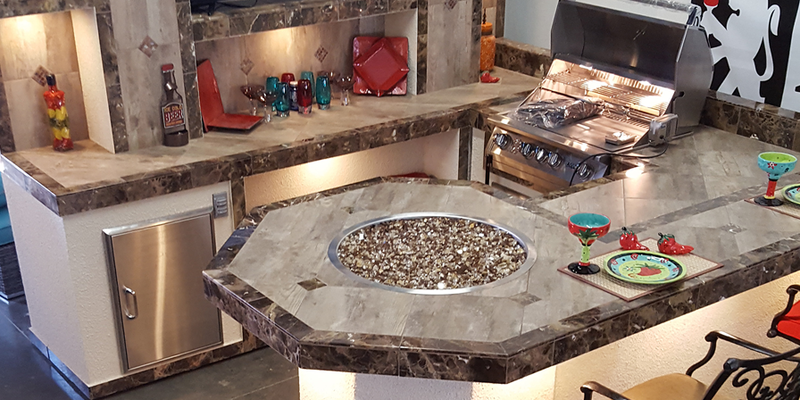 Premier BBQ Islands is known for amazing custom-built BBQ islands, fireplaces and fire pits. Find everything you need to furnish your outdoor space, including patio covers, patio furniture, and tiki shades. Depend on Experienced Professionals – Need a little extra help? Let our experts custom-install and set up your new grill. 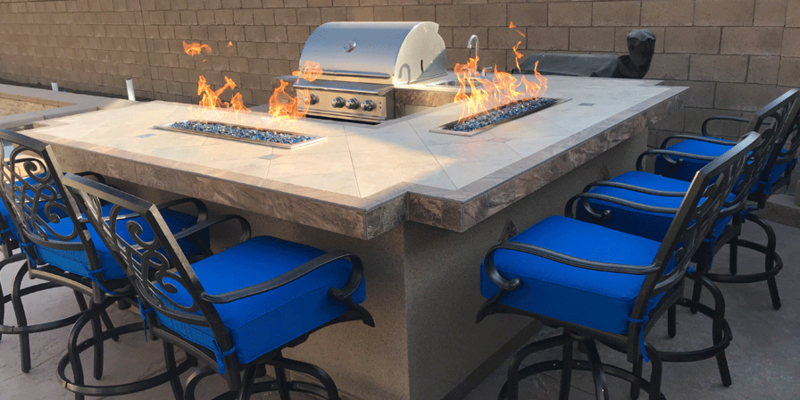 Find out more about our custom work, including BBQ islands, fireplaces, fire pits, grills and accessories. Get friendly service from our experienced employees! Ask about our three-year warranties! For eight years, Premier BBQ Islands has been proud to be a locally and family-owned and -operated business. We offer friendly service coupled with custom work with many options available. Count on products custom-built with perfection for any occasion. Shop factory direct and save! We use only the best products and are happy to discuss design ideas with you. Enjoy making memories with family and friends as you gather around your brand-new BBQ island. 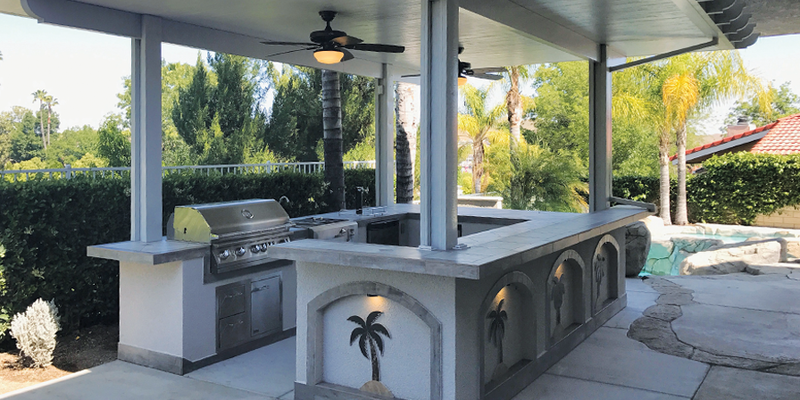 The experts at Premier BBQ Islands will build the perfect BBQ island for your backyard. Contact us today. Let Us Custom-Build Your BBQ Island. Achieve the perfect outdoor space for making memories and enjoying special moments. You can customize your new handcrafted BBQ island from a wide range of style and design options. Don’t let a cool night stop you from spending time outdoors. 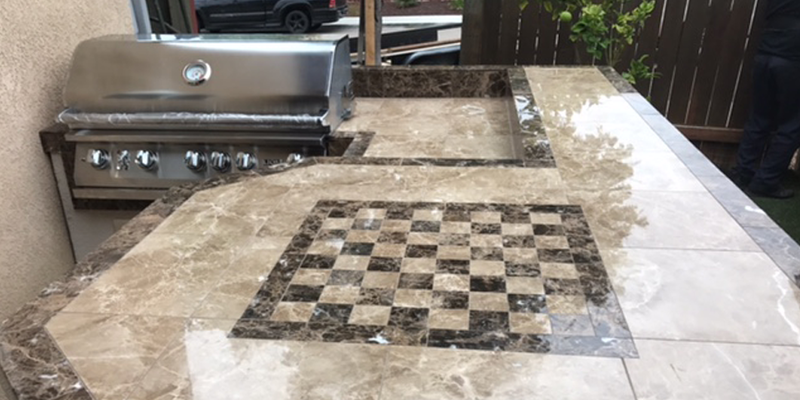 Premier BBQ Islands will build you a custom fireplace or fire pit. Contact our professionals to design your fireplace or fire pit. 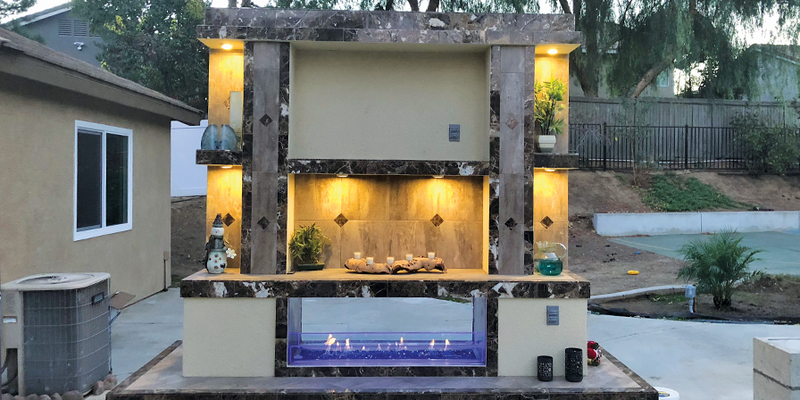 Enjoy a Night With Family and Friends – whether you are spending an evening outside with your family or hosting a party or gathering of friends, your new fireplace or fire pit will be the perfect place for everyone to gather. Choose from many different designs. Enjoy our custom work with many different options available! Cook up something tasty on your brand-new grill from Premier BBQ Islands. We proudly offer the best stainless steel grills around and top name-brand accessories. Visit us to browse our great selection.